BBC News is to hold two TV election specials in the North. The programmes, to be broadcast live from York and Manchester, are part of a series of specials that will see the public from across the country questioning the politicians on issues of policy. On Friday June 2nd, David Dimbleby will host a prime time Question Time Leader Special with Theresa May and Jeremy Corbyn, live on BBC One from York. And on Tuesday June 6th, a Newsbeat Youth debate will be held in Manchester featuring senior politicians from all the parties. It will be broadcast live on BBC Radio 1 and the BBC News Channel at 9pm, then on BBC One at 10.40pm. Other programmes will take place in London, Edinburgh, Cambridge, Bristol, Swansea and Belfast. 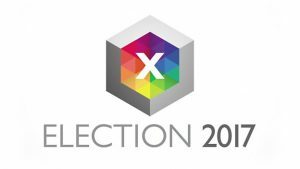 Jonathan Munro, Head of BBC Newsgathering, said: “We have an exciting line up of special programmes over the General Election period. We’ve made the time to discuss the issues in our schedules, and got the right mix of people on air so they will reach out to all audiences who trust our impartial approach to news. “Our plans include bringing Theresa May and Jeremy Corbyn in front of the same Question Time audience on the same night to be quizzed by the public.